Original CareFRESH is the one that started it all —the first pet bedding made from virgin reclaimed cellulose. 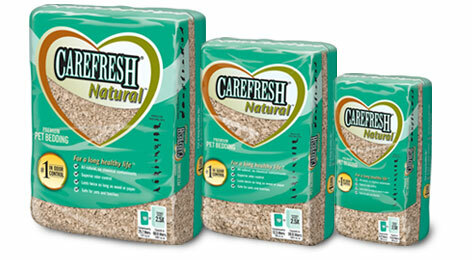 You’ll love original CareFRESH because it’s more absorbent and controls odor better than competing products. It’s also all natural, biodegradable and flushable in small quantities. The patented CareFRESH formula is free from dust and contaminants like pine or cedar oils, so it is safe for your small pet. (Aromatic oils in pine and cedar bedding have been shown to have adverse health effects on small pets.) Plus it provides a more natural living environment than other bedding products.